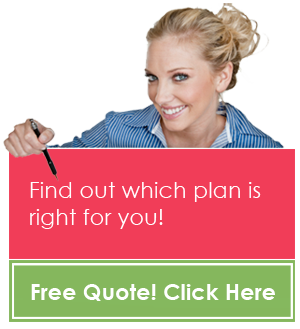 Searching for the best individual health insurance in MA? Small business owners and self-employed individuals — there’s no need to look any further than right here at HSA Insurance. For nearly forty years, we have been the state of Massachusetts’ insurance marketplace of choice for consumers, offering more than 150 plans from every major carrier at the most competitive rates in the state. Choosing health insurance for yourself or for your small business can be a time-consuming and challenging task. HSA’s professional sales team can help you find the best individual health insurance MA has to offer… a plan that meets the level of coverage you need and your expected budget. Additionally, HSA Insurance offers easy-to-use web-based tools that allow you to research and compare plans, enroll, and pay your bills online –on your own schedule. Once you’ve selected the right plan for your needs, you will find that our dependable and responsive customer support staff is here to address any concerns or questions along the way. Our knowledgeable customer service team is also always current on the frequent changes in health insurance regulations and legislation, like Obamacare, so that you don’t need to be. Over the past several decades, thousands of individuals and small businesses alike have taken advantage of HSA’s partnerships with MA’s leading insurance providers because we offer more than 150 plans, all of which are designed to meet and or exceed the state of MA’s Minimum Credible Coverage (MCC) requirements. Our extensive portfolio of products includes health, dental, life, disability, long term care, and integrated solutions. HSA is eager to discuss our participating plans or to provide you with a quote. Please contact us today and learn why securing the best individual health insurance in MA is closer, and easier, than you may think.